On our second day, one of our elf twins eliminated multiple threats single-handedly She even did some individual patrolling around the camp. Sometimes you have days where you have to just go with the flow. Today, we had several people scheduled to come, but due to various circumstances, they were not able to make it. 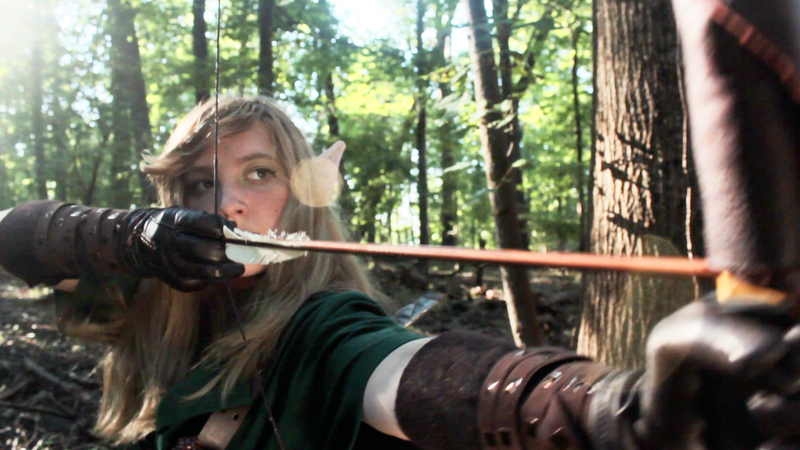 However, we did have Kelsey come up to shoot some more arrows! It is rare to see the Elves separated, but we leapt at the chance to grab some solo footage of Tali, which will later be added into another scene! Oh the joys of shooting without sound! All of our shots were MOS (shooting without recording sound), three letters that are our friend much of the time that we are on set. Today was a light day, but we got some very useful, and EPIC, shots!